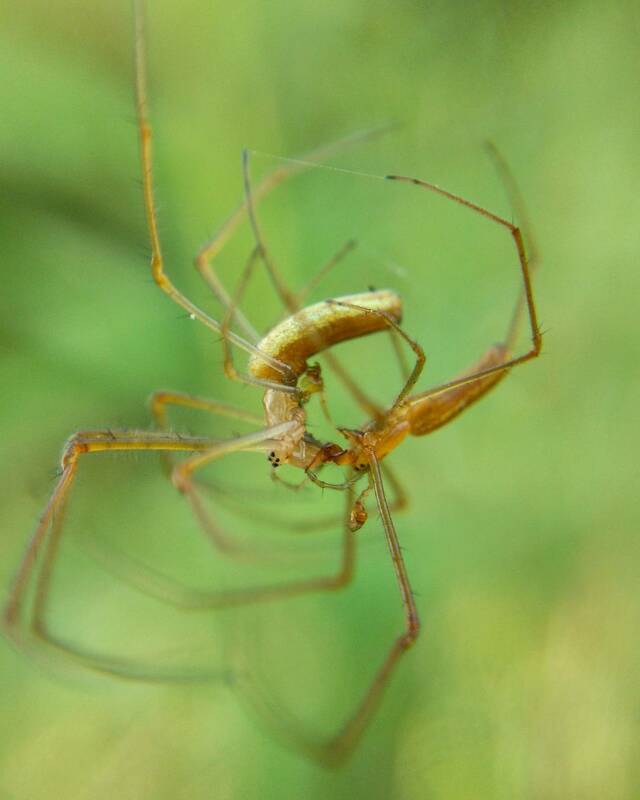 Long-jawed orbweavers (genus Tetragnatha) have an interesting mating style: face-to-face, jaws locked together, dangling from a thread. Often at night, too, which makes it hard to get good pictures of, but I luckily stumbled across these in tall grass on an August afternoon. The male (right) is maneuvering a pedipalp to deposit sperm into the female’s genital opening.